Welcome to Night Nannies Australia. We offer Babysitters, Nannies & Mothercraft services. Night Nannies is a national Nanny Agency. We have Babysitters & Nannies in NSW, VIC, QLD & ACT and specialise in Sydney Nannies, Melbourne Nannies and Brisbane Nannies. 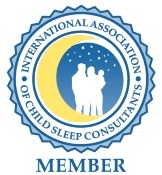 Need help with your baby or toddler sleeping through the night? Would you like one night of undisturbed sleep? Do you need some guidance & techniques to help settle your baby? Search and book Casual Nannies - If you are unable to find a Nanny in your area, please Contact Us. Maria, Lilyfield "Just letting you know that your Nanny was a fantastic help to us and gave us some great advice and support."